In 2015, the California Legislature passed the Sustainable Groundwater Management Act (SGMA), which tasked local agencies authorities with managing their groundwater resources in a sustainable manner. Approximately 70 square miles of the western portion of Calaveras County overlies the Eastern San Joaquin Subbasin (see map), which has been critically overdrafted since 1980 according to the California Department of Water Resources. Due this designation of “critical overdraft” CCWD must work with other public agencies in subbasin to develop planning and regulatory mechanisms to address the overdraft conditions. SGMA required that formation of a Groundwater Sustainability Agency (GSA) within Calaveras to act as local governance focused on addressing these issues over a 50 year planning horizon. 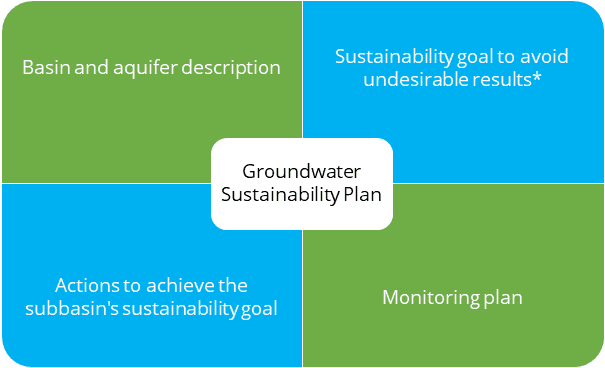 SGMA requires Groundwater Sustainability Agencies (GSAs) within critically over-drafted basins or subbasins to submit their Groundwater Sustainability Plans (GSPs) by January 1, 2020. 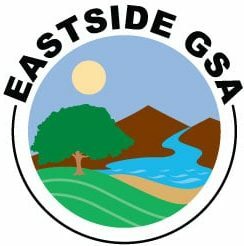 CCWD has partnered with Stanislaus County, Calaveras County and Rock Creek Water District to form a cooperative GSA that will cover the areas of the Eastern San Joaquin Subbasin within Calaveras and Stanislaus Counties, not within another GSA boundary (see map). The multi-agency, multi-county GSA is governed by a Memorandum of Understanding (MOU) which can be found here. This GSA will benefit all partners because it will allow for cost sharing, grant opportunities, regional groundwater sustainability, opportunities to leverage technical expertise and includes close cooperation between upstream and downstream agencies. SGMA requires GSAs with critically over-drafted basins or subbasins to develop Groundwater Sustainability Plans for submittal to the California Department of Water Resources by January 1, 2020. The GSP will serve as blueprint for the community’s coordinated vision of future land and water use to preserve groundwater quantity and quality throughout the entire basin. It will include four main components. * Undesirable results include significant and unreasonable lowering of groundwater levels, reduction of groundwater storage, seawater intrusion, degraded water quality, land subsidence and depletions of interconnected surface water. 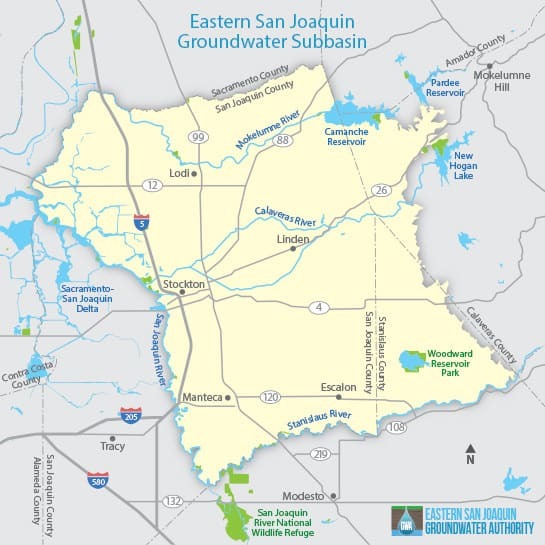 The work to complete the GSP and meet SGMA compliance will be the responsibility the Eastern San Joaquin Groundwater Authority and their Board, and we encourage you to visit the website here to get the latest information. We also encourage interested members of the public to stay involved by subscribing to the mailing list here. Click here for a list of frequently asked questions prepared by the Department of Water Resources. 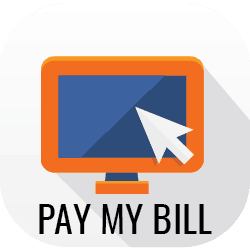 Click here for the DWR SGMA homepage.